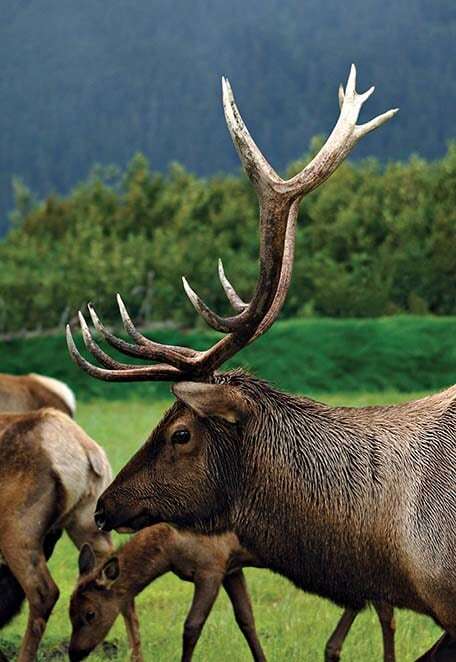 Claim your own piece of Alaska with a souvenir version of the state’s emblems. Look for a list of local retailers in the Juneau, Ketchikan and Skagway port of call sections. Most people think of the Gold Rush when they think of Alaska, but the region’s first hot commodity was fur. Russian traders and Native hunters had their most profitable relationship in the early to mid-1800s. The buzz started sometime after the U.S. purchase of Alaska in 1867. All-out gold fever finally struck in the 1880s. The precious metal was found in Juneau, on the Klondike River and on the beaches of Nome. Prospectors rushed to Alaska to find their own fortunes. Hunters and other outdoor enthusiasts rely on their knives’ sharpness, but beauty also counts for at least one: the ulu (OO-loo) knife. It has been used for thousands of years, serving as a multipurpose blade used for everything from skinning animals to trimming blocks of ice to build igloos. The original ulu had a bone, ivory or wood handle, often embellished with distinctive marks carved by the knife’s creator. Inuit masks are ranked among the finest tribal art in the world, traditionally worn by dancers in religious ceremonies honoring the spirits of birds or animals that are hunted or need to be appeased. The Tlingit and other coastal tribes produce transformation masks with several faces concealed within a single face, while the Aleuts create bone masks worn at burials that are broken and thrown away after completion of the funeral rites. Many of Alaska’s Native communities rely on salmon as a food and economic source, and the rest of the world has caught up to them. Salmon is an excellent source of Omega-3 oils, the “good” fats. Alaska salmon is sold fresh as whole fish, steaks and fillets, as well as preserved in cans. 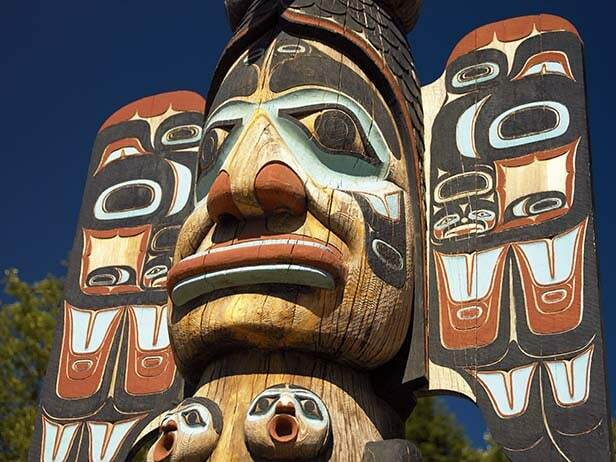 A traditional art form among Natives of Southeast Alaska, totem poles reflect ancestral pride by depicting the lives and history of the people who create them. 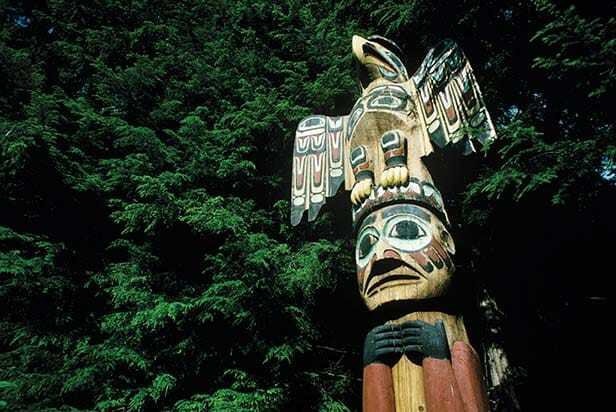 They are carved out of huge cedar trees and often display carvings of animals found in the region, such as eagles, ravens, frogs, bears, wolves and whales. After they are erected, totem poles stand as long as nature permits, typically 50 or 60 years. When the pole eventually falls to the ground, it is left to decay or is used for firewood.